As the Ducks look toward completion of their first full week of Spring football, veteran quarterback Jeff Lockie returns with the most game experience among Oregon quarterbacks. 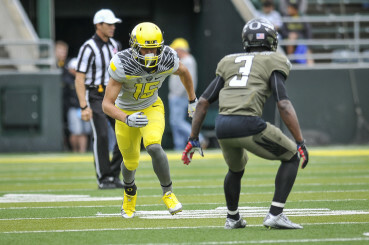 Monday, Lockie told FishDuck’s Norm Hightower he’s been impressed by Oregon’s young skill players so far this spring. Jalen Brown may be a freshman, but he’s preparing for his 2nd spring game. 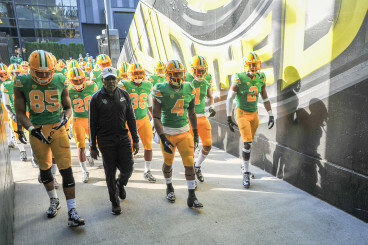 Last season, Oregon redshirted seven skill position players including, wide receivers Jalen Brown, Chayce Maday and former Sunset High School’s Jeff Bieber, running backs Tony Brooks-James and Casey Eugenio, tight end and former Clackamas High’s Taylor Stinson and placekicker Jesse Kelly. True freshmen skill players already on campus include wide receiver Alex Ofadile and running back Taj Griffin. 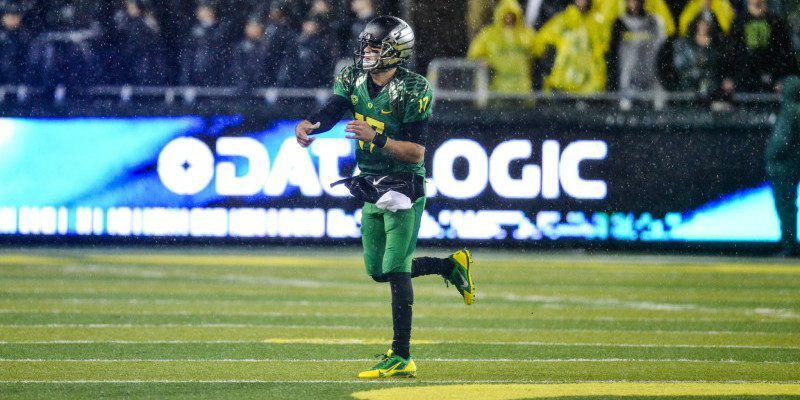 Lockie, a redshirt junior quarterback from Alamo, California, highlighted a few young Ducks. #20 Tony Brooks-James may be ready to step to the front for the Ducks. Brown, a 6-1 former 4-star recruit has actually been on campus since the winter of 2014. Ofodile, a 4-star recruit from Columbia, Missouri, is an early enrollee attempting to get into the mix in a deep and talent group of returning wide receivers. Brooks-James, a former 4-star recruit from Gainesville, Florida, might be the most intriguing as he attempts till fill the void of another Floridian recruit, Charles Nelson, as he makes his switch to defensive back. Also, as the 2015 NFL draft looms, we leave you with an awesome video of Marcus Mariota torching Jameis Winston in the 40, complete with laughter and commentary by NFL Network’s Mike Mayock.